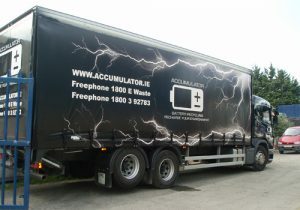 Here at SignFx we can provide bespoke graphics and vinyl for business advertising and brand exposure. Our services include, shop front signage, window graphics, vehicle graphics for both work vans and commercial vehicles & industrial signage. We provide and initial consultation to ensure consistency and accuracy of the design you are looking for. We cater for each customers individual requirements, no two designs are the same or even similar. The aim of creating a bespoke business sign is to expose your brand and the key is uniqueness which we will interpret on your design. Using state of the art printing machinery, we are able to print your designs in a wide variety of sizes from simple bumper stickers to banners for industrial warehouses. An additional service we can provide is the printing of stickers and labels for your business. We can print hazard area and warning signs as well as other health and safety notices which are required by law for certain industries. SignFX have been providing signage solutions for companies across Kildare and Dublin for over 23 years and in that time we have established a great reputation for excellent customer service and high quality signage services. If you require more information on any of the services we have mentioned or you are looking for an additional signage service, please do not hesitate to get in touch and a member of our highly experienced team will be on hand to assist with any questions you may have. We look forward to hearing from you.